Call today for a free quote to get your property cleaned up and ready for winter. Try not to wait until the last minute to get ready for the winter. It is so much easier to manage your lawn and leaves if you have us come twice a month during the fall season. If you do not have a large piece of property than once a month is just fine. It is very important to feed your lawn in the fall so that it can recover from the summer months and be ready for next spring and summer. 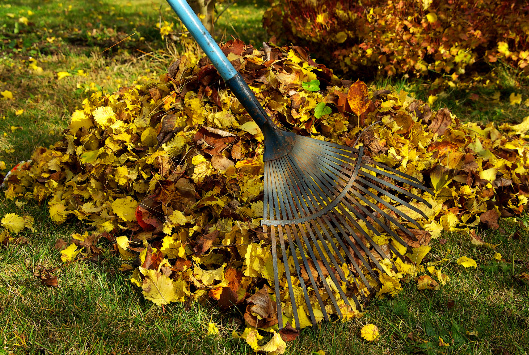 Weeding in the fall is super helpful as it will your lawn look better now and you will be prepared for next summer. Staying ahead of the curve is so important when it comes to reducing the volume of weeds on your property. None of us want to admit it but Fall is here and we all know what that means. Kids are back in school, life just got a little busier, the days are getting shorter, and the leaves are beginning to fall. The good news is we get to look forward to Halloween, ThanksGiving, apple picking, sweaters, and outdoor fires with our family and friends. Let us take care of your yard this fall so you can enjoy your home and family before winter arrives.